Čedomir Ljubo Čupić was a political commissar and commandant in the Nikšić detachment of Narodnooslobodilački pokret ( eng. PLM – People's Liberation Movement ). Čupić joined Communist party of Yugoslavia in 1941 and in July he escaped occupied city of Nikšić to join partisan troops. Čupić was captured in April 1942 after harsh fighting against chetnik forces ( Serbian collaborators ) on Kablena Glavica, outside of Nikšić. In captivity he was tortured in order to reveal information about his fellow comrades but all they got out of him was resentment as he stated to his captors: '' I'm partisan commandant and a communist. You nationalists are nothing but a servants of the occupiers and oppressors. I despise you. Tell my family not to seek mercy on my behalf'''. Čupić's torturers held a public court for him and other captured communists. Tomo Kovačević, a member of SKOJ ( Communist youth union of Yugoslavia ) recalls that event as a display of Čupić's courage and defiance: '' I was present at the trial. Auditorium where the trial was organised was packed. When they sentenced Ljubo to death, a small group of chetniks cheered but Ljubo reacted in his fashion: '' Real representation of justice. Few approves, hundreds are silent'', he said. Ljubo arrived at his execution like he showed to his own wedding – standing tall and proud. I remember him cheered to Tito and communist party at the very end and how everyone gatherd was dead-silent when they layed him in his tomb.''. 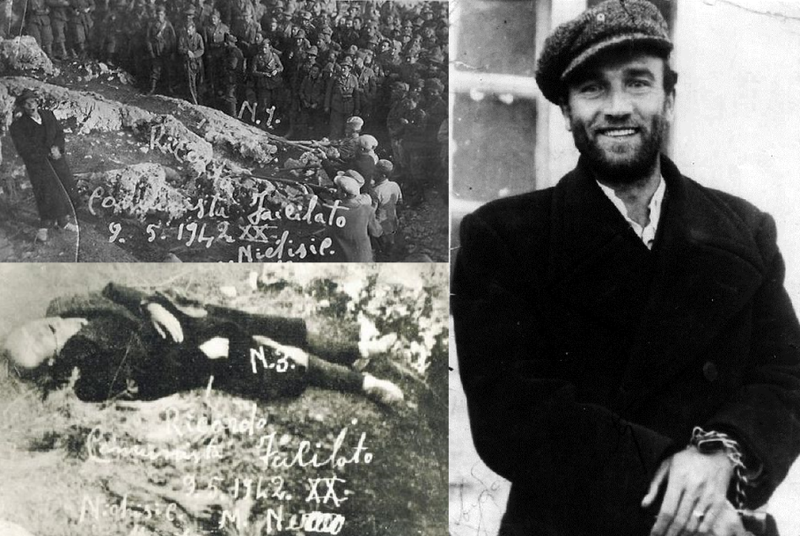 Ljubo Čupić was executed on May 9th, 1942 right under Petrove Glavice, outside of city of Nikšić in Montenegro. At his execution, Čupić shouted ''Long live comrade Tito and glourious communist party!'' and when first shots hit him, he stood upright and said to the gathered crowd '' the days of liberation will come! ''.